Home / Identity / Fig Escapes Newton! Read All About It! We’d known and worked with Andrew Strolin before. 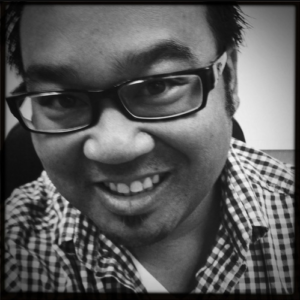 An early adopter of bigSTORY’s process, he is a fast learner, a nimble marketer and savvy about technology. In 2012, I re-connected with him in a Reno coffee shop to hear about his new job as Director of Marketing for Nature’s Bakery, a Reno-based company with plans to challenge one of the most venerable cookies on the supermarket shelf, the one and only Nabisco Fig Newton. ‘Check it out,’ he said, handing me a box of Nature’s Bakery Fig Bars. I liked the form factor and the branding. A box in muted greens and brown, with a simple logo and type. Inside the box, eight sealed packages containing two bars each, each double the size and weight of your standard Fig Newton. Strolin was excited. This wasn’t necessarily news to us. Excitement is his natural state. The guy can get wound up about re-stringing his guitar (which he plays like the pro he once was). 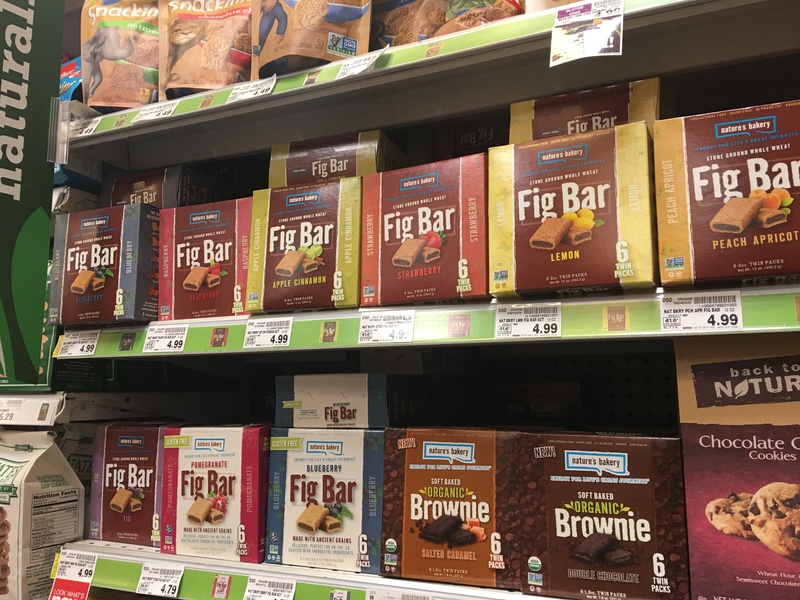 Still, there was something intriguing about a new home for the forgotten fig, which had been locked up with sugar for generations inside Nabisco’s cookie dough prison. Freeing the forgotten fig–it was a good premise. We sampled the goods. Without all that sugar, the fig speaks for itself. The cookie part is pleasing to touch and taste. Not cakey or overly sweet. More substantial and textured, and healthier tasting, with a flavor that complements the fig. Two unique sensations become a third. And isn’t that what good stories are all about? 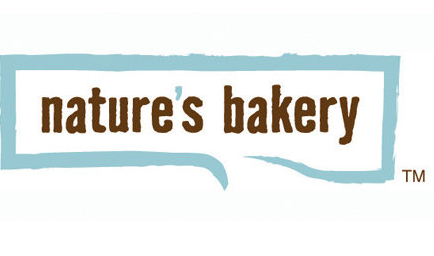 Today, nearly five years later, guided by Marson’s vision, Nature’s Bakery is killing the cookie game, and Andrew Strolin’s energy and his skill as a brand storyteller have been a big part of it. He and his team have earned their way into the big retail networks, including Wal-mart, Costco, CVS, 7-11, Whole Foods. They’ve gone from one or two poorly placed shelf facings in their early distribution days to six or eight facings at eye level—prime shelf space—in most of their stores. The brand is current sold in 22 countries. As a privately-owned company, Nature’s Bakery doesn’t release its numbers, and Strolin will only say publicly that their growth has been ‘significant.’ Let’s put it this way, I’m guessing they have 1000x the distribution they had when he got there. How big do you think they’ve gotten? To find their audience, he wove together multiple stories. It took a leap of faith. Naturally, Marson became a baker himself, as did his son, Sam, and grew the family business into a prosperous industrial bakery that supplies the likes of Cliff Bar and Pepperidge Farms, guiding his operation always toward healthier ingredients than what was currently mass marketed. He had always wanted a brand of his own, and so, at an age when most prosperous factory owners would be contemplating retirement, he bet a significant part of his retirement savings on..the fig! Not everything operates on clock time. Innovation definitely doesn’t. We call the timing of breakthroughs and other inflection points ‘opportunity time.’ The Greeks called this opportunity time ‘kairos,’ and considered it equally as important as ‘kronos,’ or time measured in increments. Stories never go away. They may be hidden, their pieces may be shattered and scattered by events, geography, and time, but they never go away. They are there waiting for us to re-assemble them into new forms. Nature’s Bakery reclaimed the fig, picked up the pieces of a story much older than Nabisco, and baked those pieces into a new story for the world to discover. The feelings of well-being that emanate from stories of rebirth–a story about an ancient fruit in a modern setting, a story of a boy’s delight become a man’s achievement–these are part of the recipe, too. Mike Bonifer is the founder and Chief Storyteller for bigSTORY, a network of experts in diverse fields who specialize in effective communication and draw on breakthrough research that accounts for how stories affect business performance. We call our process Agile Storytelling. We apply it to help clients improve their communication processes, make more meaningful connections with audiences, drive customer advocacy and engage employees. Bonifer has been focused on new storytelling platforms and practices for his entire life, from the theme park his family built on the farm where he grew up in Indiana, through a long association with the Walt Disney Company, to bigSTORY’s contemporary work with Skype, Wipro, Manulife, United Airlines, and a host of mid-sized companies, and universities such as USC, Notre Dame and NYU. He has written five books on the subject of storytelling, most recently GameChangers—Improvisation for Business in the Networked World, and CTRL Shift—50 Games for 50 ****ing Days Like Today. In addition to its consulting work, bigSTORY develops and produces original stories. We are currently developing Death of Cassini, an opera about the last days of NASA’s Cassini-Huygens mission to Saturn, and Crypto Kid, a television series about Tinashe Nyatanga, a Zimbabwean hip-hop music editor living in Los Angeles who advises young music and entertainment stars on their cryptocurrency investments. The basis of all our work is a belief that our most optimistic futures are realized when we build stories together. When your story and my story become our story.